This week we have the conclusion of the Tradewinds Gibraltar Masters. The last five rounds produced a number of interesting games and a tense fight for first that needed extra time to resolve. In the end, Hikaru Nakamura did not manage to reel in his fourth consecutive Gibraltar title, when Levon Aronian took first place in the playoff. A whopping seven players landed in a tie for first. But let’s back up a bit and see some games from players who didn’t get to the winner’s circle. Vassily Ivanchuk had his hands full with Indian players in Gibraltar, as he lost to Gupta’s diabolical tactic. Next, we have a game between two very interesting young players. 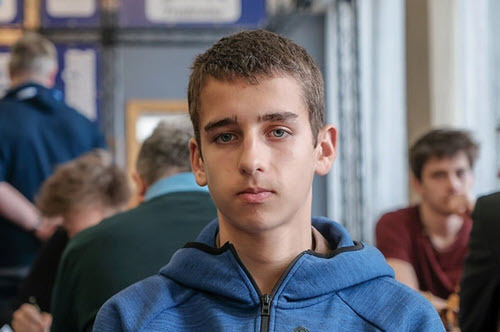 Daniil Dubov is already established as a promising grandmaster and he pulls off a nice combination shortly after the heavy duty theory is exhausted. 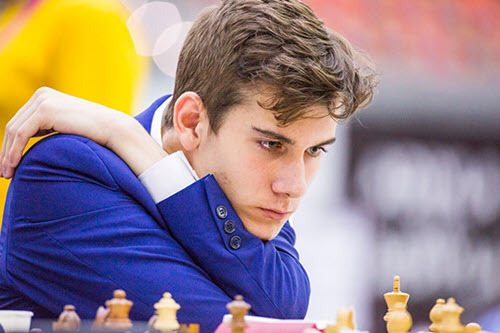 Dubov, who earned his GM title at 14, is coming into his own at 21. But his opponent is only 14 and has really come out of nowhere. Henderson has only just completed the requirements for the IM title but is already setting his sights on the GM title. He took a big step with a norm in Caleta and even managed to come half-point behind the winners with 7/10. Lance Henderson de La Fuente , born in 2003. An emerging talent. Meanwhile, Dubov’s tournament had a rough ending. Having a chance for clear first with a win, he instead absorbed a loss when Le Quang Liem found a breakthrough in a blocked position. So Le was able to tie for first, as did Vitiugov, who defeated Antipov, and Adams, who took advantage of a strange opening blunder by Grandelius. Vachier and Rapport drew, while Aronian passed on a chance to try to win the tournament outright. So there were seven players on 7.5/10. 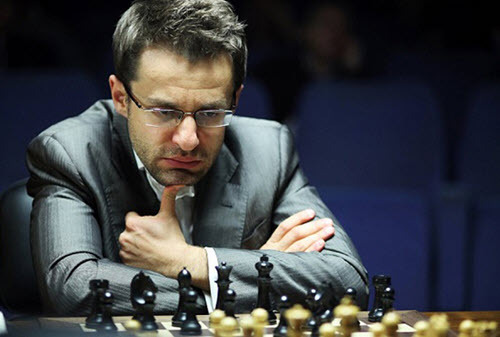 Aronian took the final from Vachier Lagrave, in a reprise of their semi-final from the World Cup. Gibraltar has a substantial women’s prize, which brings out most of the world’s best to compete here. The going was very tough, with many contenders losing in the last round. Gunina lost a crazy ending with an extra pawn. Batsiashvili also lost the last game, but still earned a grandmaster norm. Ju Wenjun came up short against Henderson. 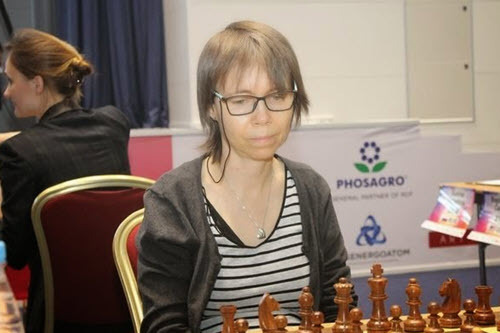 Pia Cramling posted a half-point in the last round against Akobian, and that put her ahead of her rivals.Kataryna Lagno caught her with a win, but Cramling took the title on tiebreaks. A penultimate round victory over Luca Moroni Jr. put her in position. I’ve known Pia Cramling since we were teenagers when she would compete with the boys in junior events. At age 54 this is quite a coup for her, well done!